The Nursing Agencies List (UK) provides a simple to search directory of all the Nursing Agencies in England, Scotland, Wales and Northern Ireland. You can search for Nursing Agencies by region, town and city; alphabetically by A-Z; and by free text search using the Agency Search feature. Listings are regularly updated but if you find any details that need to be updated please let us know using the contact form. CQC (England), CI (Scotland), CSSIW (Wales) and RQIA (Northern Ireland). 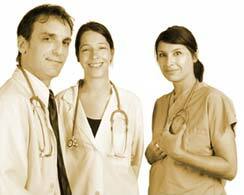 We have an increasing focus on nursing jobs overseas, especially Australia and New Zealand. As part of this we have just launched our new blog 'UK Nursing Abroad'. If you are interested in working in either Australia or New Zealand please take a look at these pages. Take our exclusive survey on the NHS with the Sunday Mirror for a chance to win £200. We have the latest Healthcare News from the BBC as well as a link to fully searchable British Nursing News archives from BNN Online covering 2004-2006.